Today, from 13.00 to 19.00 in the city center will perform musical groups, dancers and singers. Kyiv also joined the holiday as well as Ivano-Frankivsk, Bila Tserkva, Uman, Lutsk, Kriviy Rig, Pereyaslav-Khmelnytsky, Chernivtsi, Odessa and Lviv. 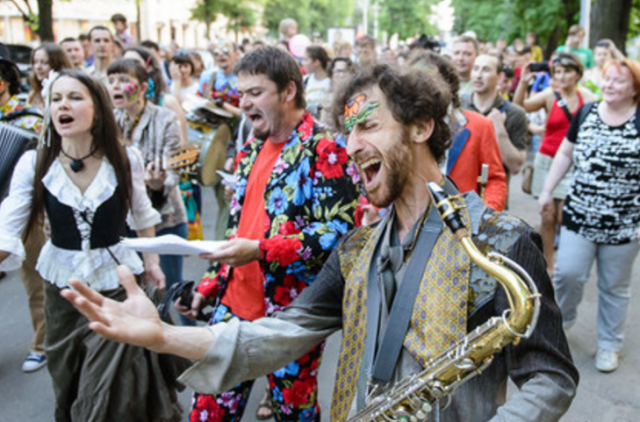 Street Musician Day will also be held in Vilnius, Tbilisi, Riga, Amsterdam, Copenhagen and other European cities.